Chance is heading out with the force. 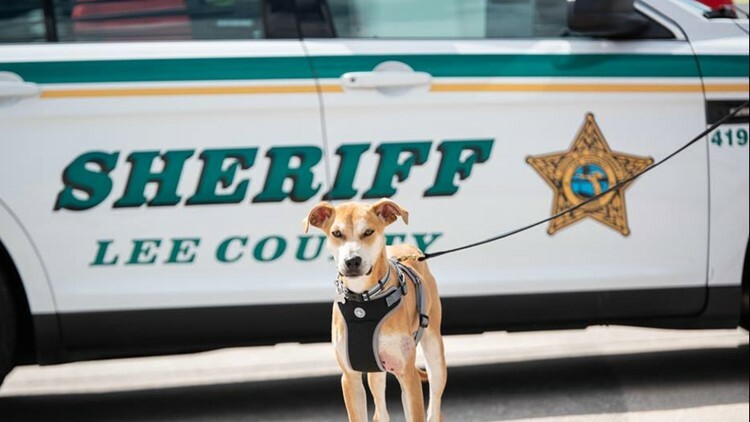 FORT MYERS, Fla. — The Lee County Sheriff's Office on Thursday swore in the dog who was found with its mouth taped shut as an official deputy. The dog, now named Chance, is now getting his paws dirty and heading out with the force. He attended two events during the weekend with his human partner for his initial assignments. The sheriff's office said it was continuing to look for whoever hurt Deputy Chance about a week after he was seen wandering through a neighborhood. When deputies found Chance, he appeared dehydrated and malnourished because red electrical tape had prevented him from opening his mouth. A post to the Lee County Sheriff's Office's Facebook page said when Chance was asked about his first few days on duty he said it was "ruff."